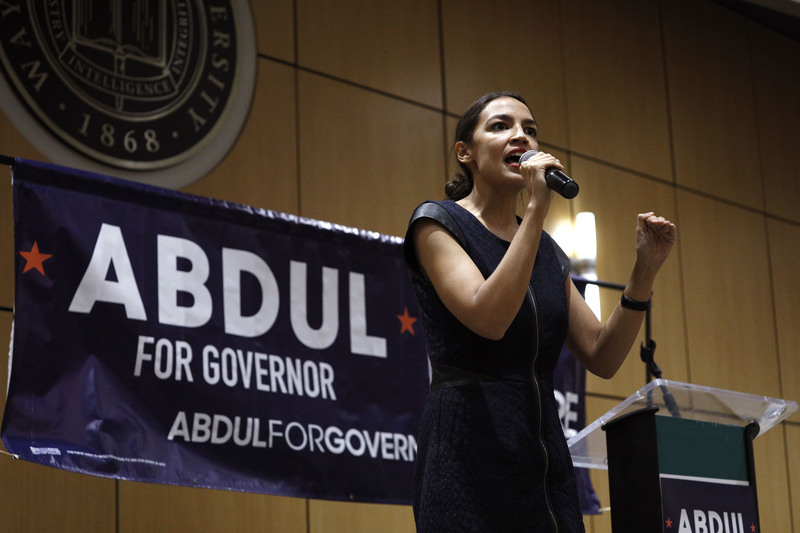 Political newcomer Alexandria Ocasio-Cortez endorsed a slew of hopeful far-left candidates in the Democratic primaries in an effort to capitalize on her surprise victory in New York. However, most of them ended up losing on Aug. 7. 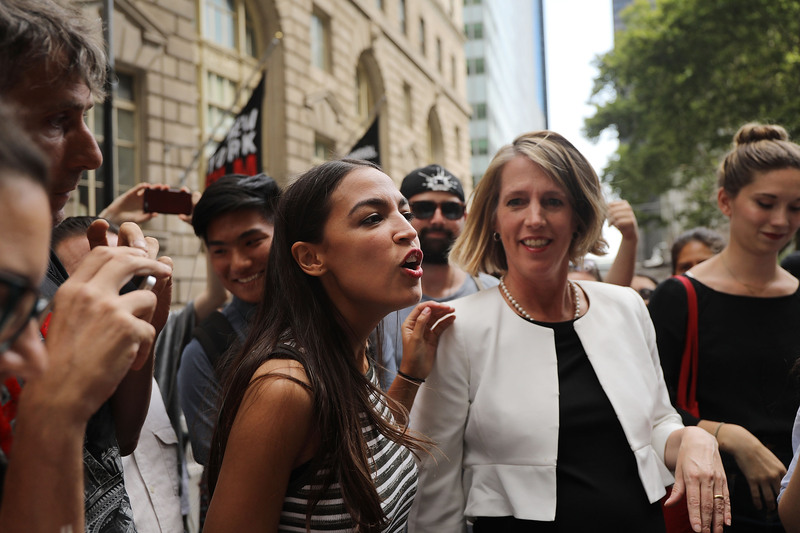 Ocasio-Cortez defeated long-serving Rep. Joe Crowley (D-N.Y.) on June. 26, in a stunning upset. 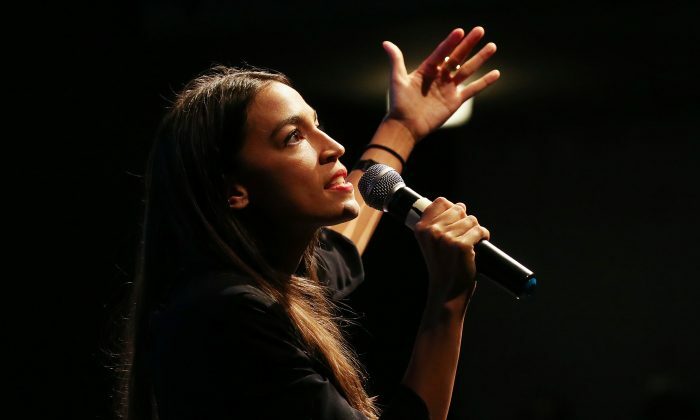 The Bronx-born, 28-year-old member of the Democratic Socialists of America (DSA) has been dubbed by some as the “new face” of the Democratic Party. In the past few weeks, Ocasio-Cortez hit the campaign trail running to endorse five prospects of the progressive left. She campaigned for Abdul El-Sayed for governor of Michigan, Fayrouz Saad in Michigan’s 11th Congressional District, Cori Bush in Missouri’s 1st District, James Thompson in Kansas’s 4th District, and Rashida Tlaib in Michigan’s 13th District. She also backed candidate Kaniela Ing in Hawaii along with a number of other progressives whose primary elections have not yet begun. According to the results on Aug. 7, two out of the five candidates she endorsed won—Tlaib, who won Michigan’s primary and will run unopposed in the upcoming general election, and James Thompson also won District 4 in Kansas. Saad lost, coming in at number four in a five-way race, amassing 17,524 votes, or 19.4 percent of the vote, according to the latest data from BallotPedia. Haley Stevens, who got the lead spot, garnered 23,997 votes, or 27 percent. El-Sayed also lost his bid for Governor of Michigan to Gretchen Whitmer, who had 52 percent compared to his 30 percent. Bush had a similar result, losing in Missouri’s first District primary to William Lacy Clay, 56.7 percent to 36.9 percent. Meanwhile, President Donald Trump has been rigorously campaigning and endorsing Republican candidates in contested races that could decide the control of the House. Trump attended a trio of almost back-to-back rallies last week at stadiums packed with supporters. Trump has had a high success rate of endorsement wins in recent primaries. On Twitter, he dismissed talk of a reported “blue wave” comeback for Democrats.